Winner of numerous design and advertising industry awards, the Chino Latino brand was designed to arrest, engage and provoke. Year-after-year sales increases suggest the strategy is still working. We created the original brand, and were responsible for updating it fifteen years later. There’s no one Chino Latino logo. The brand was designed to suggest an ad hoc approach to visual identity; as needs arose, materials were created on the fly. 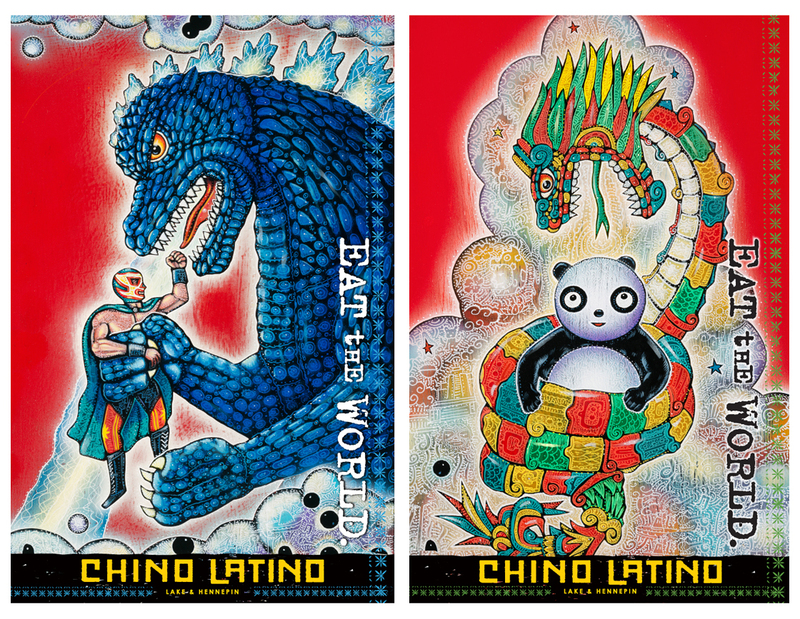 Chino Latino’s menus were updated in 2015 with two new designs paying off the campaign line, “Eat the World,” part of a brand refresh on the occasion of the restaurant’s fifteenth anniversary. New menu art is added from time to time, often with new logo treatments. If Chino Latino were to feature a single, master logo, this two-headed design, introduced on opening day, would be it. Drink, cocktail and monthly special menus can be easily modified and reprinted. The crappier the paper, the better. 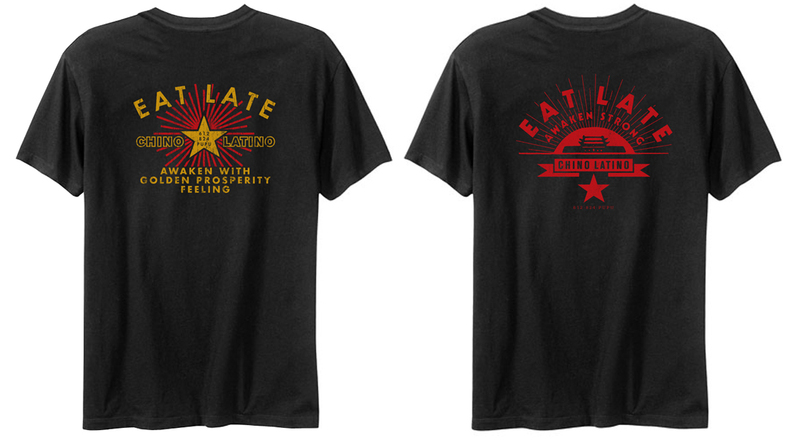 Wait assistants wear Chino Latino t-shirts, including these, which were used to promote late-night dining. 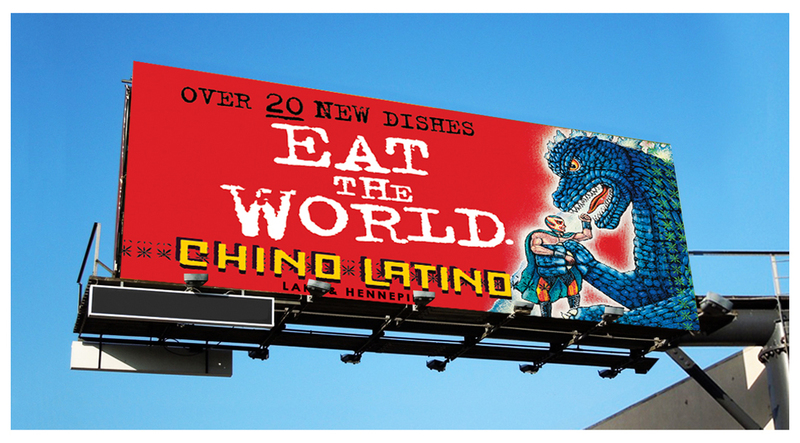 Chino Latino ads, eblasts, posters, etc. 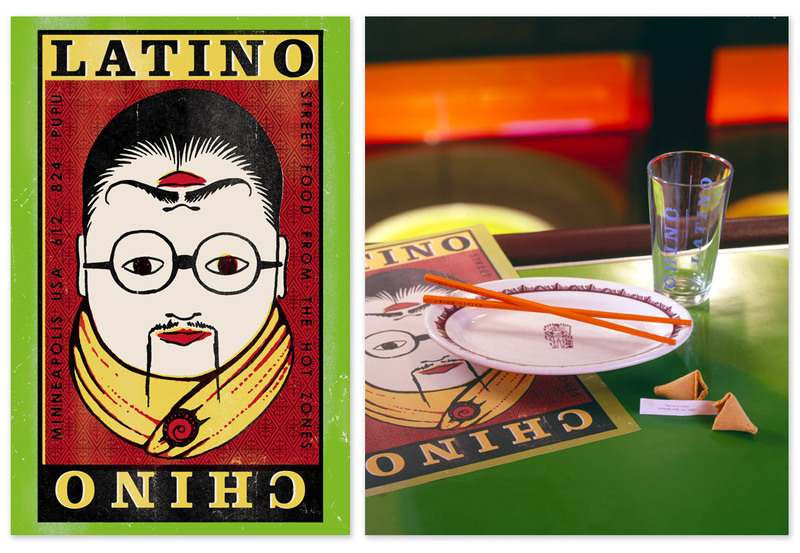 As the Chino Latino has evolved, we’ve incorporated richer visuals to play up a sense of adventure. 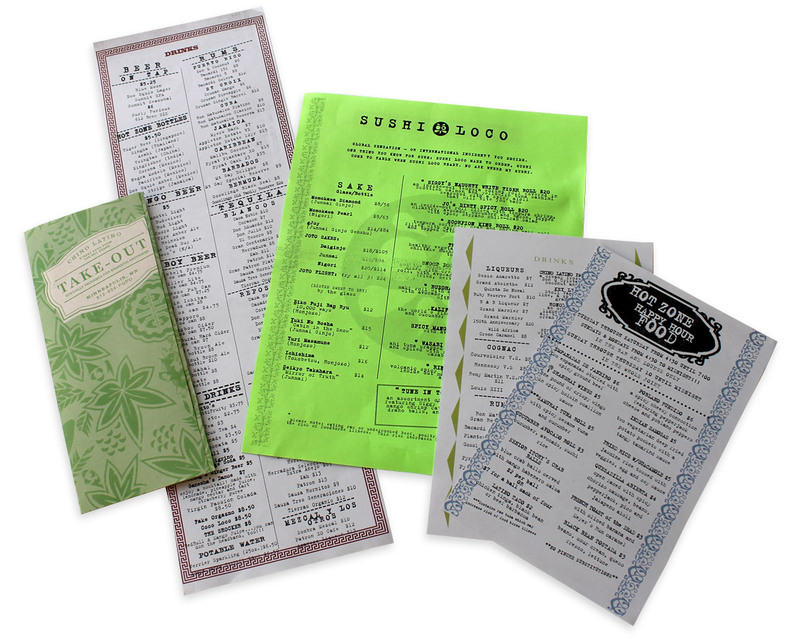 These designs promoting new menu items and special dinners were used in emails and as ads, posters and check presenters. An example of the outdoor campaign that helped to introduce the restaurant’s 15th anniversary brand refresh. 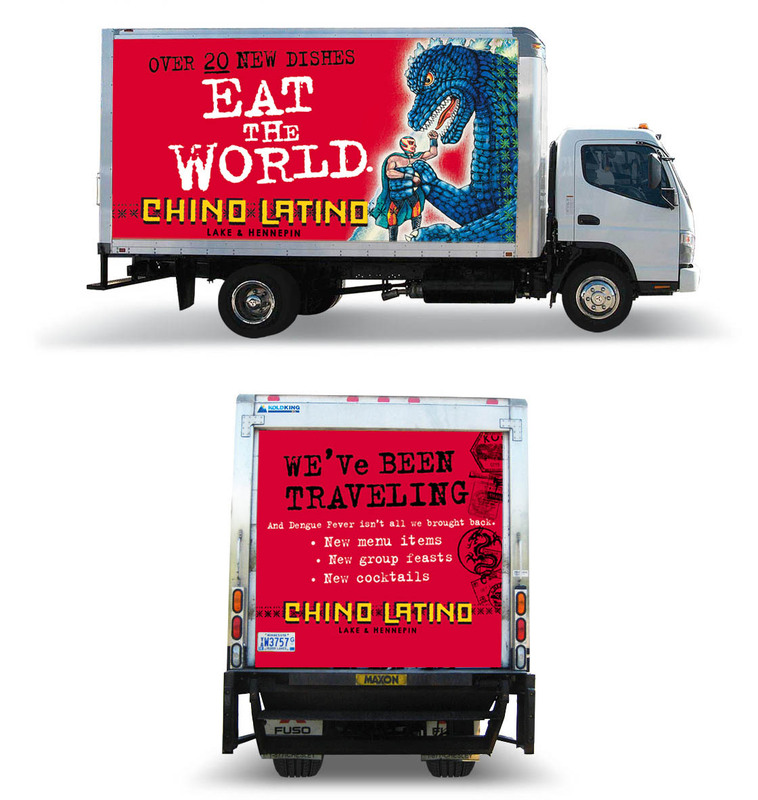 Chino Latino messaging on the Parasole Restaurant Holdings bakery delivery truck helped to raise awareness of the restaurant’s 15th anniversary brand refresh. We’ve long used billboards as our primary vehicle to maintain neighborhood awareness. Their success is typically judged by the amount of complaints they generate, and these got their share. This artwork, appearing on the Parasole Restaurant Holdings bakery truck, references a series of refrigerator magnets we created for the restaurant. 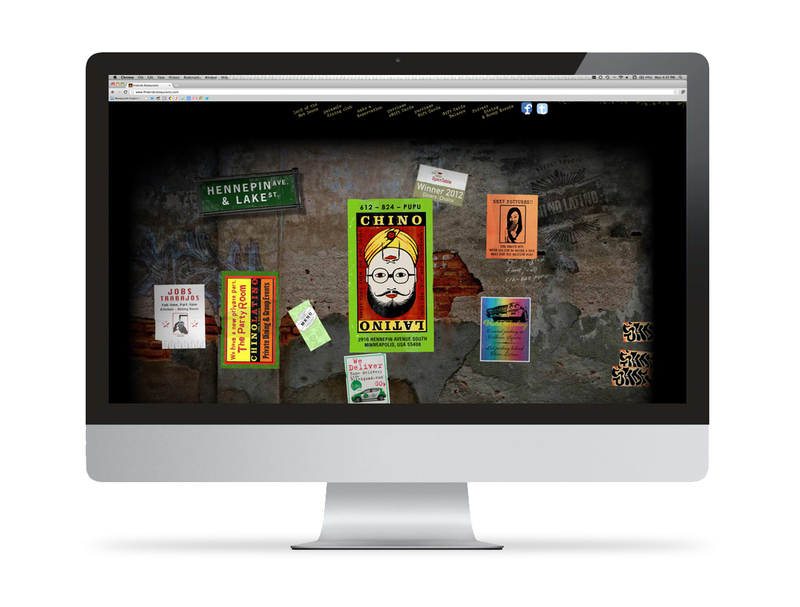 The desktop version of Chino Latino’s website. If you access it, be mindful of your computer’s volume level because it introduces itself with a gong. 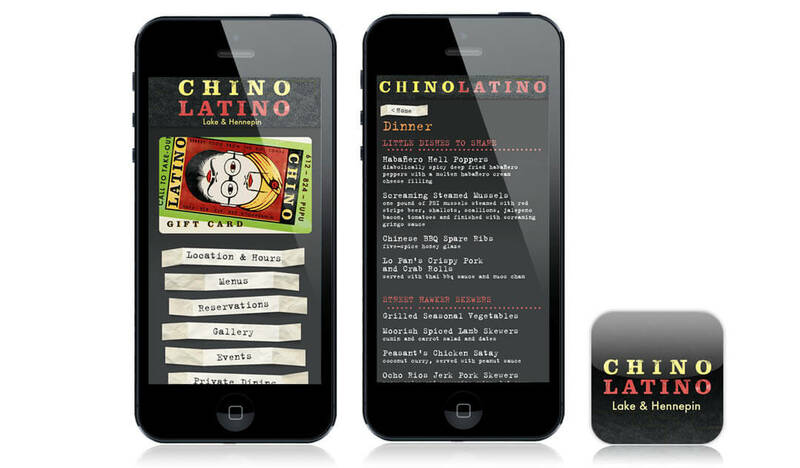 Chino Latino’s mobile site provides quick-read utility. Supervox is more than our creative agency; they’re a vital member of our ‘Kitchen Cabinet,’ teaming with us on concept development through brand creation and ongoing marketing. Their intimate knowledge of our brands, the restaurant space in general, and how this translates into promotional strategies and sales support, enhances our position in a crowded, constantly changing consumer environment. We also team with Supervox on consulting projects for hospitality clients nationwide. They’re a great partner for Parasole because of their breadth of capabilities, and because their flexibility and reliability all but ensure client satisfaction.